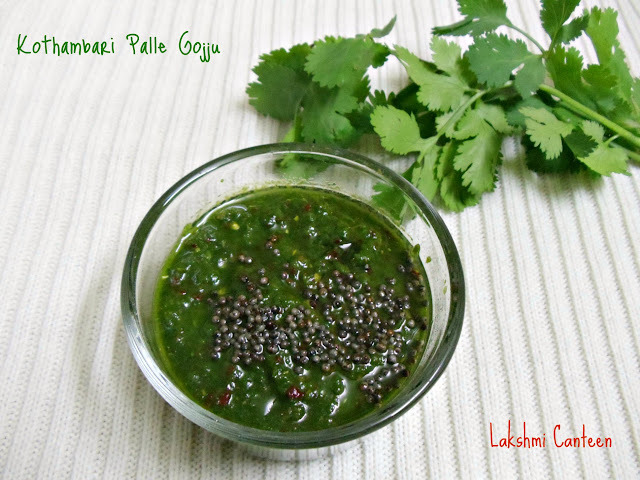 Kothambari Palle Gojju is a quick and healthy recipe. In Konkani, kothambari pallo means coriander leaves (cilantro). I got this recipe from a FB group. This is so easy that it can be made within 10 minutes. Sometimes there are chances that you end up buying lot of cilantro, as it was very cheap (or some other reason). 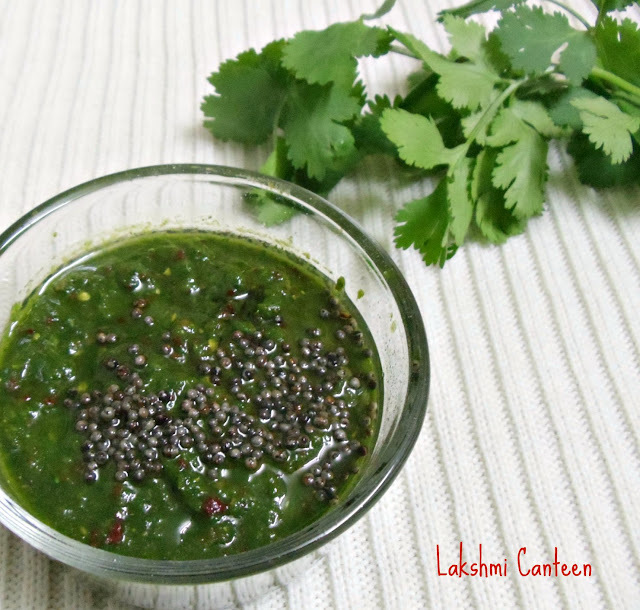 This chutney is one way to use the cilantro. This dip/ chutney is very flavorful, as lots of fresh cilantro goes into it. I tried it for the first time and loved it. 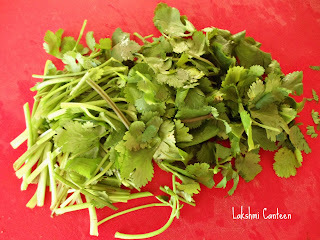 Wash the cilantro (leaves as well as the stem). Then give a rough chop to it. Then Grind the roughly chopped cilantro along with dry red chillies, tamarind, jaggery and salt (add few tablespoons of water while grinding. But don't make it watery). Once you get a paste, transfer it to a bowl and then add the seasoning. For Seasoning: Heat oil. Then add mustard seeds. Once it starts spluttering, turn off the heat. Once the seasoning is added, mix well. Kothambari Palle Gojju is ready!! Serve it as a side dish to rice, dosa. Above measurement serves two people.